For nearly three decades, the English political scientist Harold Laski was the gray eminence of American liberalism and its most influential Marxist public intellectual. As a fervent proponent of the New Deal in the 1930s, much of Laski's success stemmed from the fact that he offered answers when so many Americans had only questions. By the postwar years, however, his reputation was in decline and his influence left the Democratic Party vulnerable in the1948 elections. In Harold Laski and American Liberalism Gary Dean Best traces the trajectory of Laski's American career and accounts for its ultimate failure. American politics and society were central to Laski's intellectual enterprise. As Best shows, probably no one residing in America has published as many words critical of the United States as did this Englishman. Virtually no aspect of American life went unscathed, and yet at the root of every attack was American capitalism, the businessman, those with property, who, in Laski's view were the source of all the perversion of American life. The 1930s was a period of ferment among America's intellectuals. By the 1940s it was only Laski who was bewildered--at the failure of his diagnoses and the rejection of his prescriptions even by those who had been captivated by him in the previous decade. By the time he died, in 1950, his earlier pronouncements seemed wide of the mark, and the increased stridency and shrillness produced by his disappointment had begun to bore even many who had been devoted to him in earlier years. As this volume shows, the real tragedy for Laski was that he allowed his intellect to be captured and held captive by the Marxian dialectic, denying himself the use of his own reason despite that dialectic's repeated failures. 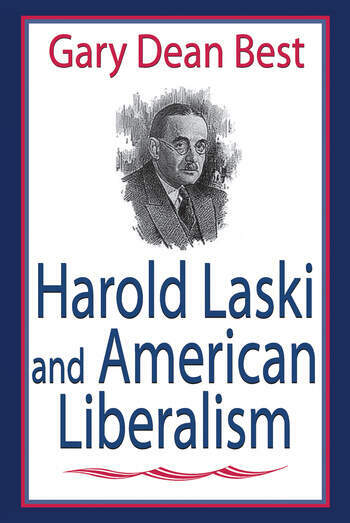 Harold Laski and American Liberalism will be of interest to intellectual historians, political scientists, and American studies specialists.